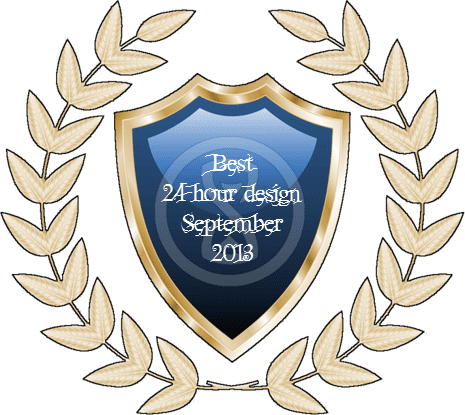 September's 24 hour game design contest (details see here 24 hour contest and here 24 hour contest - September 2013) has been a tough challenge for the participants. Alright, here's v.0.1 of what I'm currently calling, simply, 4X Dice. Yes, it's a 4X dice game. More or less. I also threw up a quick blog post about it, since I needed to host the pdf somewhere. Barely playtested, probably a ripoff of something I haven't yet played, doesn't have a board (is that an automatic DQ? ), but here are Rules for Yegg (387Kb PDF)! 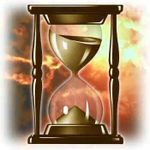 A co-op, 3-minute, dice-only, party-friendly game for 2-4 players (though I've tested it solo as well and had fun). The old newspaper on the rules is the Spokane Spokesman-Review. Fonts are League Gothic and Alegreya, both free. Slapped together on a lunch break in InDesign; apologies for any rendering or printing issues. In Circus Divas (http://bit.ly/circdiv), a two-player dice-buying game, you play the owner of a Depression-era circus going from town to town parting fools and their money. But in order to do that, you need to hire some help and, ultimately, earn more than the rival circus that keeps hitting the same towns you do and draining your profits. Each player can hire performers for his or her circus from a common pool. Those performers each allow the player to roll one additional die for profit, from the lowly d4 to the mighty - but unpredictable - d20. But these performers can prove to be real divas. When a performer rolls a 1, he or she throws a diva's tantrum and has to be consoled - or he or she will quit. And if you're consoling one diva, you can't console another if they should have a tantrum, so choose carefully. The first player to reach $100 in savings wins. Play time takes about 15 minutes and requires at least one d4, d6, d8, d10, d12, and d20 to play. Counters for money are also helpful, but pencil and paper could work just fine. Enjoy it, and please let me know what you think! Hanging out at the game store you and your friends realize you forgot to bring your dice. Having no choice but to buy new ones you need to train them before the big game tonight. Between threatening some dice and trading with the crowd which of you will have the best rolls tonight? It's a mordheim-style short miniatures combat game with a unique board creation system and tracking experience gain using the dice themselves. and never managed to have more than two units alive at the same time. cards or a chit-pull system to be honest, so I'm with the dice theme in the way the game uses dice even when it should not. and steal the famous golden dice! So sorry for forgetting this one .. In AMERITRASH WORLD TOUR you take the role of the band’s manager who is trying to put on the biggest, baddest tour the band has ever went on! You’ll take the band around the world and make sure the advertising is taken care of, the band is practicing, and the crew knows how to handle the equipment. Players roll dice to pay for different aspects of touring – once they’ve paid up, they reap the benefits with the remaining dice!